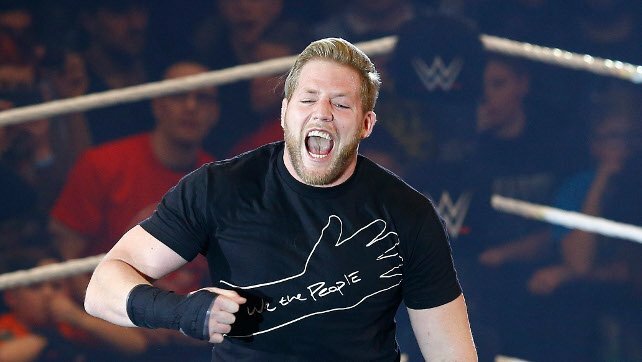 WrestleZone Radio has just released an exclusive interview with former WWE World Heavyweight Champion Jack Swagger. You can find some of Swagger’s comments transcribed in this post. The full interview can be heard in the embedded player at the top of this post or via WrestleZone Radio on iTunes. JS: I’m going to be treating this as a really high priority match. I am going to enact some vengeance on Alberto for winning that match at WrestleMania. Maybe I’ll go get Zeb Colter, since Ricardo is coming, and we’ll just have a family reunion! JS: I knew it was going to be big, make waves and cause a stir. I knew that depending on how well we did it that it could be really big. It still exceeded my expectations about how much it dropped into the main stream media. A lot of people were talking about it and I thought it was really cool. JS: I am very happy with the match. It wasn’t really talked about, from the ring it didn’t seem like too good of a crowd reaction but we were in a stadium with 100,000 people and that plays into delayed reactions. I was really hyped up wanting the match to be amazing. I thought the counters we did like from the arm bar into the ankle lock were pretty sweet. I’m very happy with that match and wish it got more love. JS: There were all these rumors but until it happens you can’t really believe it. He was the better man and the World Champion that day. Maybe someday I’ll win a world championship at WrestleMania. JS: Buddy, you better lace them boots up tight and bring your wood screws because I am going to blow the doors off and I am winning this WrestleMania re-match! Guaranteed.